I had no specific blogging plans for December but then saw that Andi, Tanya Patrice, and Tamara are hosting A Month of Faves again and it seemed like a good way to add some positivity back into my blog and life. I've just been far too focused on the worst things in the world lately. Head over to any of their blogs to see the Monday-Friday prompts if you're interested in participating! 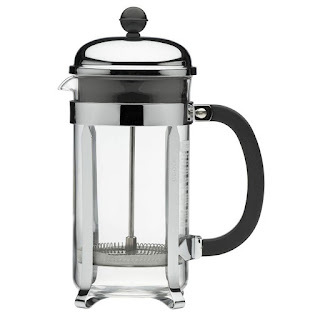 The French press: I somehow never had one of these until about a year ago. Now I don't know how I ever lived without it. I'm a blonde/medium roast gal and I always use dairy creamer. My current one makes about 2 cups of coffee--one for me, one for the husband--but we're thinking of getting one that's double the size. Sticky Fingers scone mix and a scone pan: I find myself making scones about once a week these days because they are comforting and yummy. 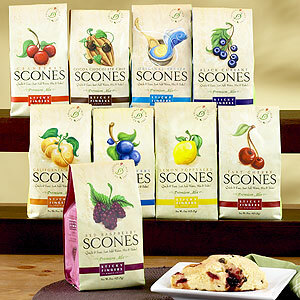 My favorite flavors right now are Tart Cherry, Cranberry, and Blueberry. (They make gluten-free mixes too.) And the ceramic scone pan from World Market makes them all into nice, pretty triangles! 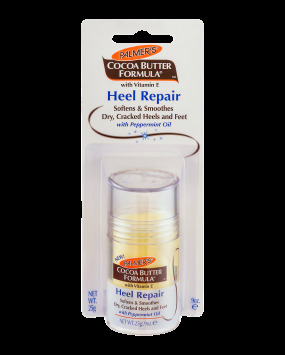 Palmer's Cocoa Butter Heel Repair: This isn't a glamorous thing but it's the time of year when I have to try and fix all of the damage of a summer of flip-flops and bare feet. This stuff smells great (cocoa and peppermint) and works well when I remember to use it nightly. Thanks for the tip on Palmer's Cocoa Butter Heel Repair. I could definitely use this, so I'm going to try it. And thanks for joining in with #aMonthofFaves. I've tried a lot of things and besides just straight shea butter, this seems to be the best! All of these things look awesome!! 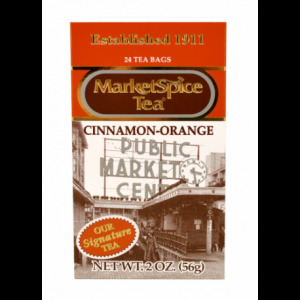 The tea calendar is now one of my favorites too after that yummy mint chocolate brew today! I've had my French press for about a year now too, and I've never figured out how to brew the coffee quite right in it the way I did with my pourover. So I rarely use it. Doesn't help that I'm the only one who drinks coffee in my house so if I make more than a cup, it's kinda pointless. Still, I can use it if people come over and several people want coffee! I need to get some of that heal stuff for my husband. He's got really rough feet that are painful to him, but the stuff he's got right now to try to fix it is so stinky that he rarely uses it! Before the French press, we hadn't even made regular coffee at home for years, just espresso. My m-i-l still just uses her pourover and has for ages. And the Palmer's balm seriously smells great. On the nights I remember to use it, the lingering scent on my hands is so calming that I fall asleep faster! WHAT a good idea. Stealing it!